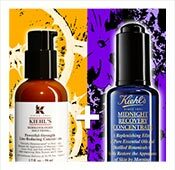 At Kiehl’s, our unique formulations are made with the finest naturally-derived ingredients to assure the high quality of skin and hair care our customers have come to expect from us. Learn more about our rigorous commitment to quality below. Kiehl’s is in full compliance with FDA regulations as well as the European Union 7th Amendment Cosmetic Directive and the requirements for safety in all of the countries in which our products are sold. Each and every ingredient used in our products has been thoroughly reviewed and tested by our internal safety team, made up of toxicologists, clinicians, pharmacists and physicians. Every product formulation that Kiehl's manufactures is screened and tested for safety before it is marketed to consumers. Kiehl's confidently and proudly stands behind each and every product that we sell, and we pledge that we will always uphold the highest standards of safety for our customers around the world. If you would like additional information about the safety of cosmetics, please contact www.cosmeticsinfo.org. 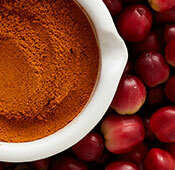 Ingredients are the single most important component of our products. Ingredients are not chosen on their esthetic merit - only ingredients that are truly beneficial to the skin are selected. Minimal preservatives are used in our formulations. Our intent is to utilize only the gentlest and most efficacious ingredients and that is why a great number of natural ingredients are used. Products are always formulated with sensitive skin in mind. We encourage you to read our product labels. 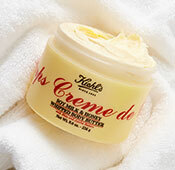 The more you know about ingredients, the better you will appreciate Kiehl's products. We refrain from hyperbole and make no false claims. On the contrary, we strive to uphold the standards of honesty, fairness, and integrity that have come to characterize Kiehl's and to gain the confidence of our friends around the world. We have gained our position based on our reputation and on recommendation and we prefer to reach you through the quality of our formulations. We utilize only simple, efficient, recyclable packaging so that we may concentrate our efforts and costs on what is truly important: the substance and quality of our products. Truthfully, only the ingredients can help your skin. 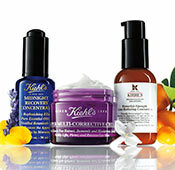 We invite you to read about the ingredients used in Kiehl's formulations by visiting our Ingredient Glossary. 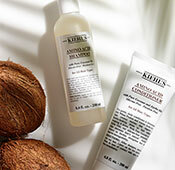 We at Kiehl's would like to assure that you are using the most appropriate products for your skin and hair/scalp type. In order to assist you in determining the optimum skin and hair care regimen for you, we encourage you to utilize our Personal Consultation and to try 3 samples of our formulations with every order you place at Kiehls.ae. We recommend that face creams be used within three months of purchase; body creams and hair conditioners should be used within six months of purchase. Cleansing products, including shampoos and body cleansers, generally have a shelf-life of one year or more from date of purchase. In general, it is a good idea to refrigerate products to extend their lifespan. Products should not be exposed to extreme heat, cold, or temperature changes and should be kept out of direct sunlight. Products should be kept in a cool, dry place. Bathrooms are not usually ideal locations for product storage, because the temperature and humidity levels there change frequently. We recommend use of sterile disposable, plastic spatulas or swabs with all creams packaged in jars - rather than fingers - to remove the product form the jar in order to decrease the potential introduction of bacteria from the fingertips into the product. Please be sure to close lids tightly on all jars and to remove any residue from the spouts on bottles before each use. Bottle tops should be fully closed when storing product or between applications. 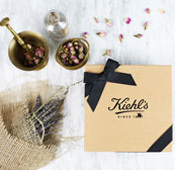 Because Kiehl's utilizes natural ingredients in our unique formulations, our products may vary in color and consistency with each new batch that we make. These natural variations do not in any way affect the quality or efficacy of the product. 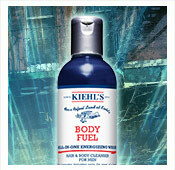 We want you to enjoy and benefit to the utmost from your Kiehl's products. If you should ever have any questions about Kiehl's product or their use, please do not hesitate to call on us at any time. It is always our great pleasure and honor to serve you however we can.